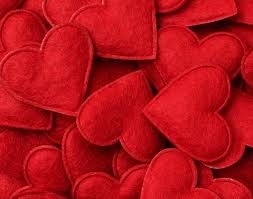 Today all over South Africa there are grandmothers holding together families affected by HIV/AIDS and poverty. Often these women are the sole bread winners in a household. 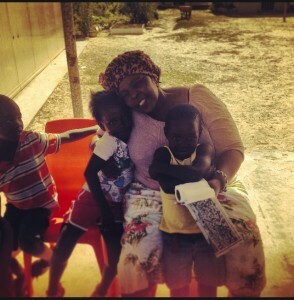 They may also be nursing the dying and bringing up orphaned grandchildren on their own. 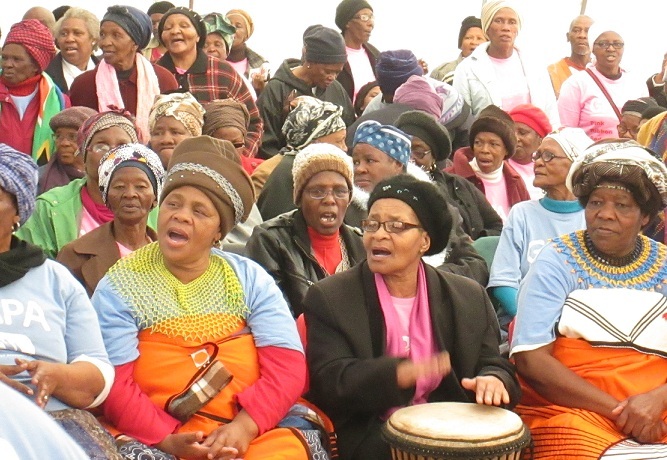 Research shows that these grandmothers suffer from a lack of information, stigmatization and overriding poverty. 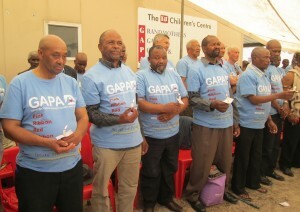 In October 2001 GAPA started as a self help project in Khayelitsha, outside Cape Town, South Africa. GAPA’s intervention has a two pronged approach, education and psychosocial support. Workshops are held each month for grandmothers who are new to the project where they learn about HIV infection and AIDS. Practical skills to overcome effects of the pandemic on households are taught. The workshops cover topics such as HIV/AIDS and cancer awareness, vegetable gardening, human rights, elder abuse, death and bereavement, drawing up a will and business skills. 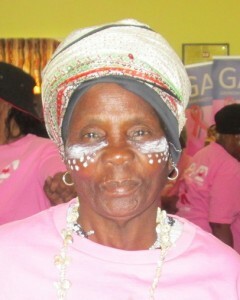 Grandmothers are also invited to attend support groups held in area representatives homes once a week. Grandmothers are actively recruited by GAPA members and invited to attend the monthly four day workshops. They are then invited to join a support group. Membership is voluntary with the only requirement being active participation. 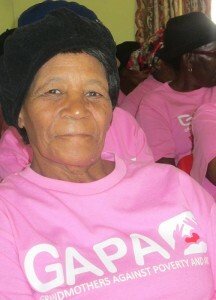 GAPA members are generally women over the age of 50 who are affected by HIV/AIDS. Grandfathers who are present in households support GAPA because it strengthens their wives’ coping skills, enabling them to take care of their families in the way that they are expected to. 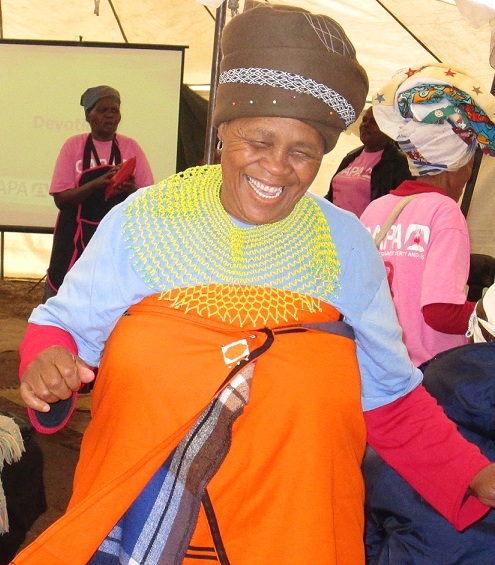 GAPA’s motto is ‘together we are stonger’ and the aim is to draw on the inherent strength of the grandmothers in the community to bring lasting change and hope. Latest Annual Report (2015) and keep checking our Facebook Page updates on what GAPA is doing! GAPA Annual Report 2014 & Facebook News Highlights! On 22nd November, GAPA hosted a Pink Ribbon Red Ribbon Men’s Health Event. According to the Health Calendar, November is the month of Men’s Health: Prostate and Testicular Cancer Awareness, and as GAPA we also raised our voice to further mobilise the community. The day was well attended and it was a great success!